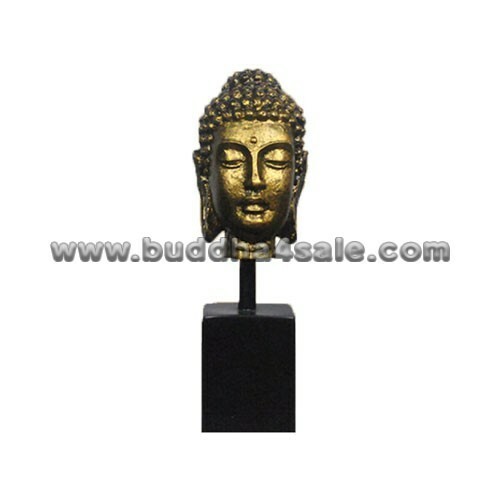 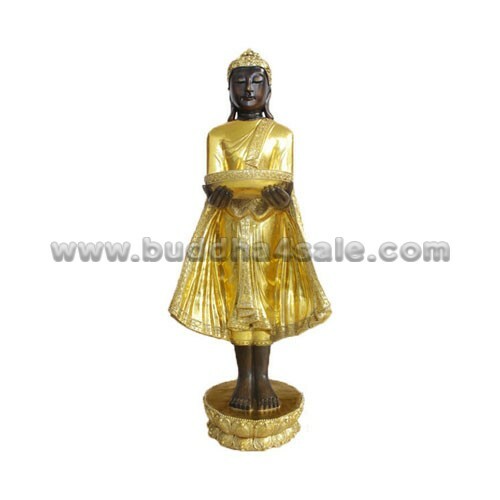 • This gold Buddha head statue which with gray ushnisha is mounted on a black metal post attached to a black wooden base. The ushnisha of the Buddha head represents extraordinary wisdom while the short curled hair portrays nobility. 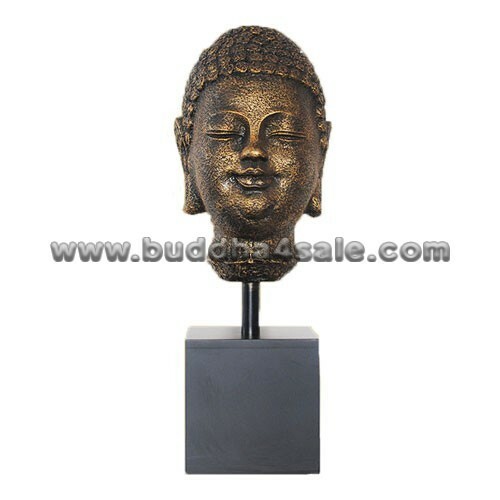 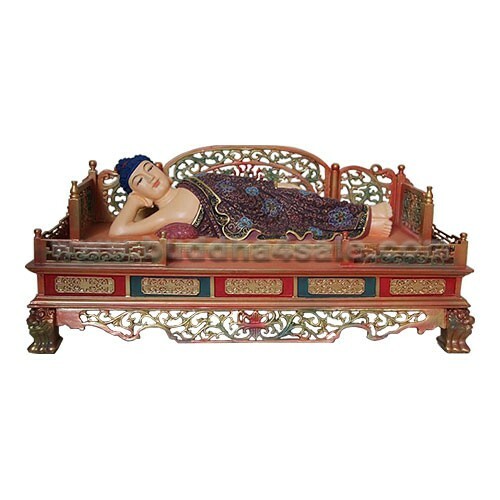 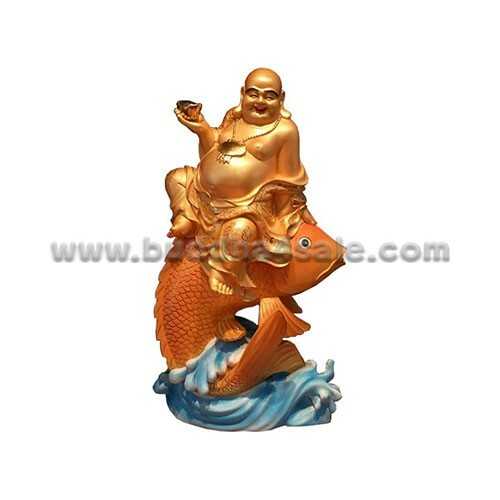 The Buddha head comes in bass finish, though it is made of resin, so it is more durable and lightweight. • His head sculpture will surely satisfy your taste for traditional looking art pieces, gives a modern “Prajna” feel as well. 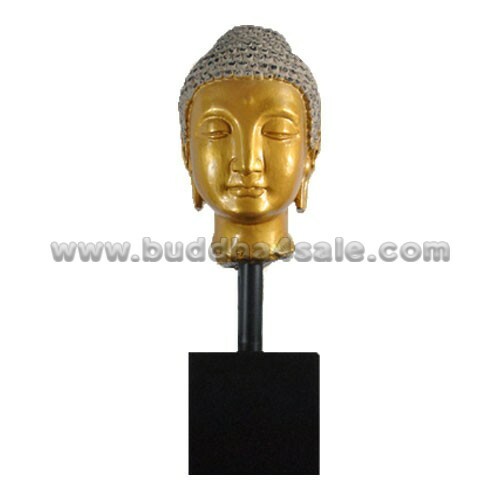 Additionally, this gilding Buddha head statue will add an ornamental accent to your home whether in the family room entryway or near your meditation space, and may bring great fortune and prosperity to your family and business.